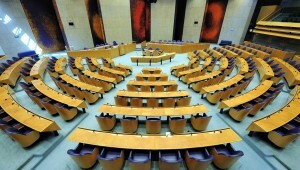 THE HAGUE - The Second Chamber of the Dutch Parliament is not satisfied with the response of the Undersecretary of Kingdom Relations, Raymond Knops, to the questions about Venezuelan refugees. The Socialist Party (SP) has asked new questions to the Undersecretary. In the list of questions, the SP faction wants to know if the Minister of Foreign Relations Stef Blok knows for certain that sending back Venezuelans is not part of the agreement with the South American government to reopen the borders.